We are creatures of habit, finding comfort in the familiar. Our brain reinforces this sense of routine and familiarity, in that the brain would rather you made the same choices over and over. Although you may be committed to a goal of “eating healthier” or “becoming fit”, the very desire to change familiar behaviors to ones that will support the achievement of your goal(s), are perceived by the brain as being a stressor, which will activate the sympathetic nervous system response of fight or flight. The body of science-based evidence continues to expand that validates the fact that we can “change our brains” to be more responsive to subtle and pleasant behavior change goals. There are four principles to practice that will decrease the excitability of the brain, minimize stress hormone presence in the body, and create the brain changes that will enhance the achievement of small-step behavior change goals. How wonderful those principles are! Finding joy is such a gift—and it is everywhere, if you choose to see it. The laughter of children playing, the glorious song of birds celebrating spring, the scent of blooming flowers, the smile you receive as a result of a kindness you extend to another human being, the petting of an animal…all of these opportunities present themselves to us every day (in variations, of course), and if we slow down enough to see them, then JOY will become a primary emotion throughout our day. And by the way, joy and gratitude are kissin’ cousins in terms of the positive effect on your brain and body. Mindfulness and joy go hand-in-hand, in that the slowing down of being mindful creates the space to experience joy. Additionally, mindfulness can be evoked while we are eating, listening, and even while working on the computer. Ah, positive affirmation…isn’t it interesting that we have evolved to be a species that expresses displeasure about ourselves—in the form of negative self-talk. This very common and potentially sabotaging dialogue can be slowly let go of simply by practicing positive affirmation. Called cognitive restructuring, expressing your intention with positive words will diminish resistance and ambivalence that the brain holds regarding new behaviors or thoughts. For instance, stating “I enjoy the energy I feel after going for a brisk walk” is received differently by the brain as opposed to “If I am going to get into shape, I have to go for a walk”—a subtle difference on the surface perhaps, but truly, there is the positivity of “enjoy the energy” versus the obligation of “have to go”. Think about it! Lastly, consider visualization. It’s been known for years that prior to competing, athletes visualize the ski run, or the gymnastics routine, or the bike race, seeing themselves at their best performance. This prepares the brain for success and fine-tunes mindfulness for that particular event. You and I may not be racing in the Olympics, but nonetheless, the same technique of visualization will enhance our performance to create our own personal successes. Imagine a party scene, as it relates to your commitment to “eating healthier”. See yourself visiting with friends, visualize the buffet table: you take a small plate, mindfully selecting a variety of small bites of whatever you desire, see yourself sitting at a table with friends, enjoying their company, eating slowly, savoring flavors and textures, allowing yourself the time to become satiated. Visually experience the pleasure and satisfaction of having eaten well, reveling in good conversation with others, and having honored your personal commitment. When you arrive at the party in reality, you will have set the tone for your behavior, simply by having visualized your success. These four principles are FREE! Meaning they are available to you right this very minute, at no cost to you, but for the few moments it takes to practice. Practice is a key concept, as each of the four mindsets becomes more and more familiar to you and your brain when they are intentionally practiced. I invite you to experience joy, cultivate mindfulness, express your positive beliefs about yourself, and visualize your success. What a rich life you live! This article is a timely reminder that each day can be a joy, full of mindfulness, positive affirmation, and visualization. Thanks Robin for sharing. My heart feels stronger already! I love the term “cognitive restructuring” as it really gives the sense that I’m not slave to my habits. Thanks for sharing the brain connection, I believe you are touching on the missing link! It’s wonderful, Shawn that you connect to my posting from the perspective of the Natural Professional. 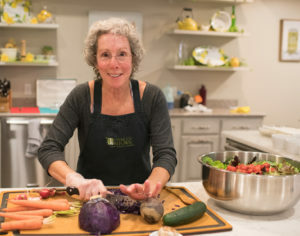 The brain connection utterly fascinates me, and it makes so much sense to pursue a quieting practice that will enhance healthful life choices, be they around food, movement, communication with others, or organized professionalism! I’m pleased that you see the “missing link”!